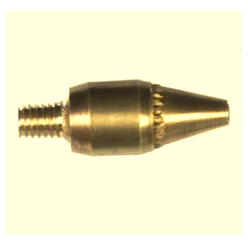 Air Nozzles is the brass nozzle added to a copper tube. Machine builders can bend the copper tube and aim the nozzles to where ever it suits. The copper tube is simply press fit into the customer's system.